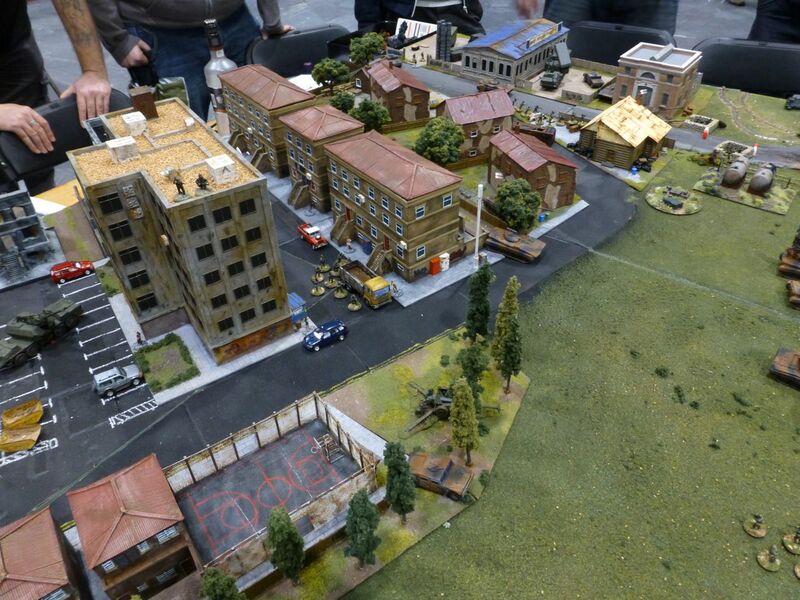 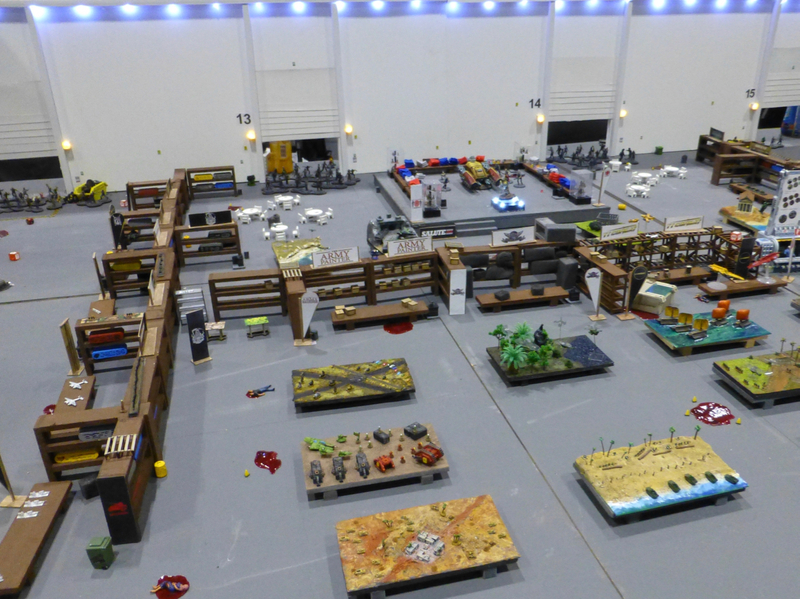 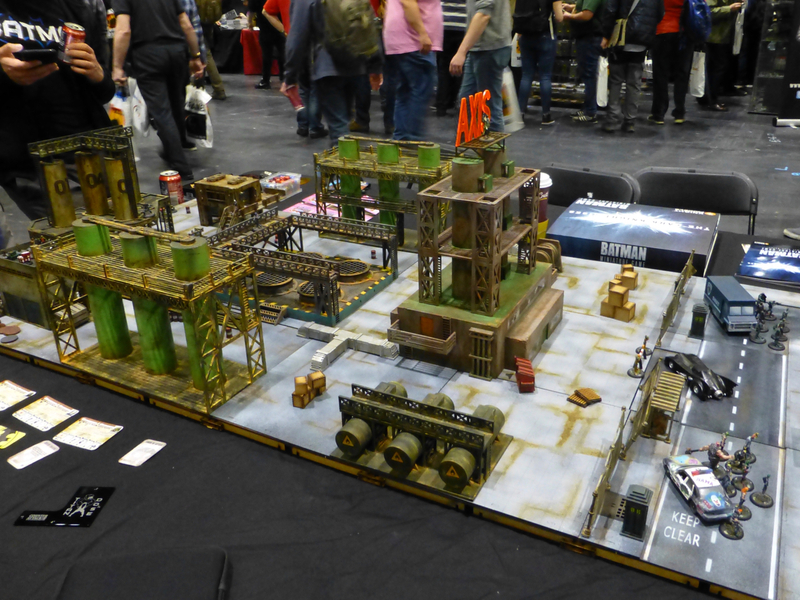 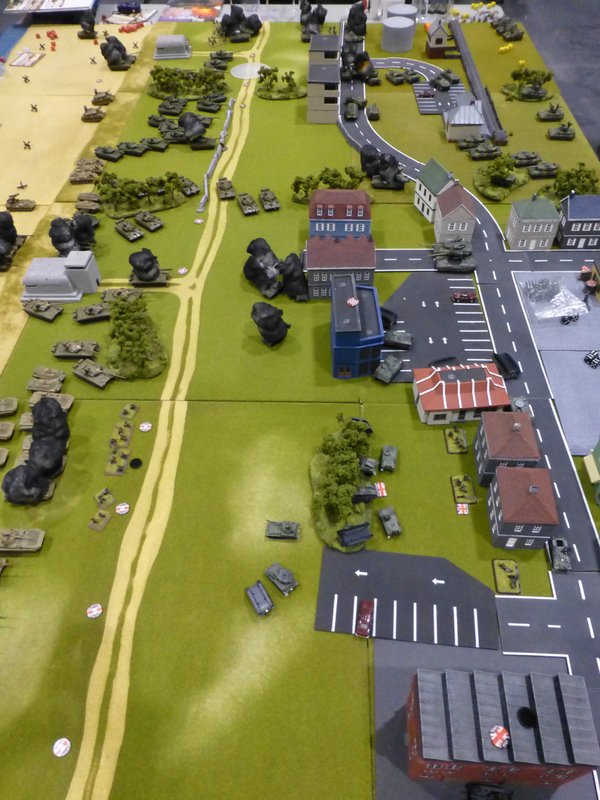 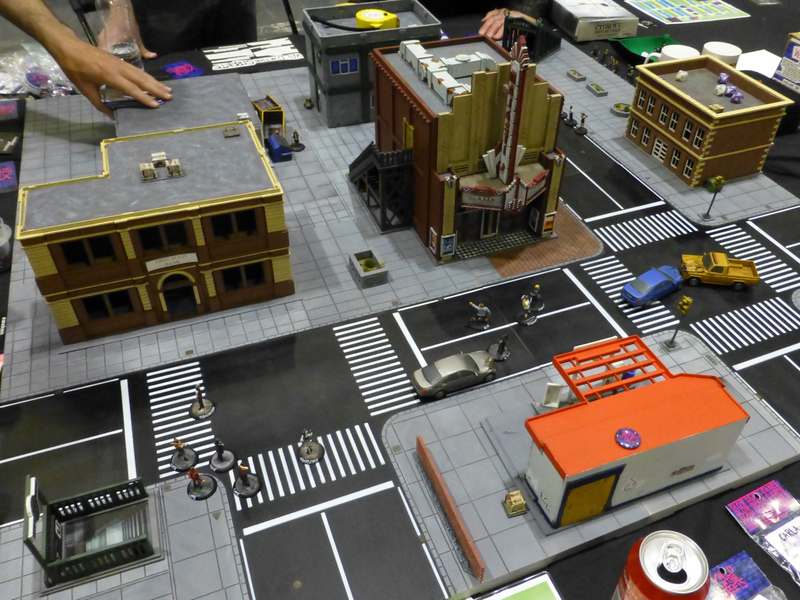 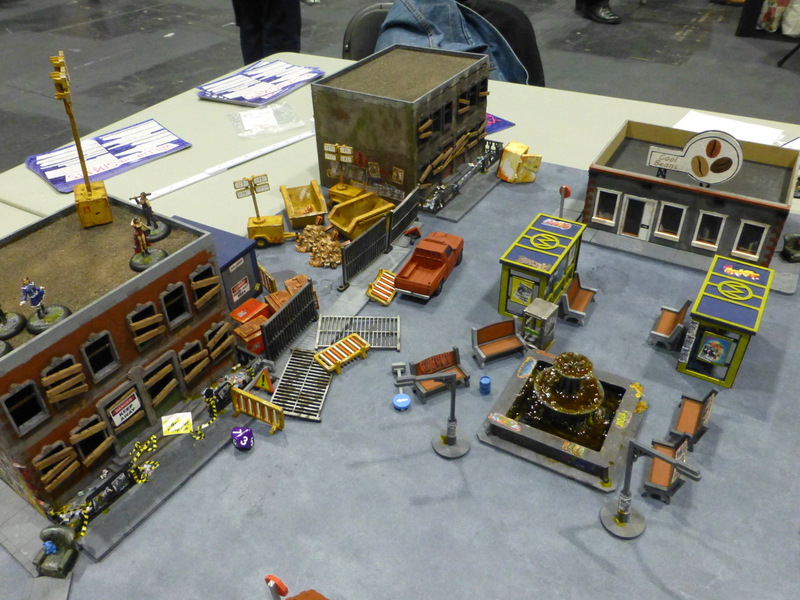 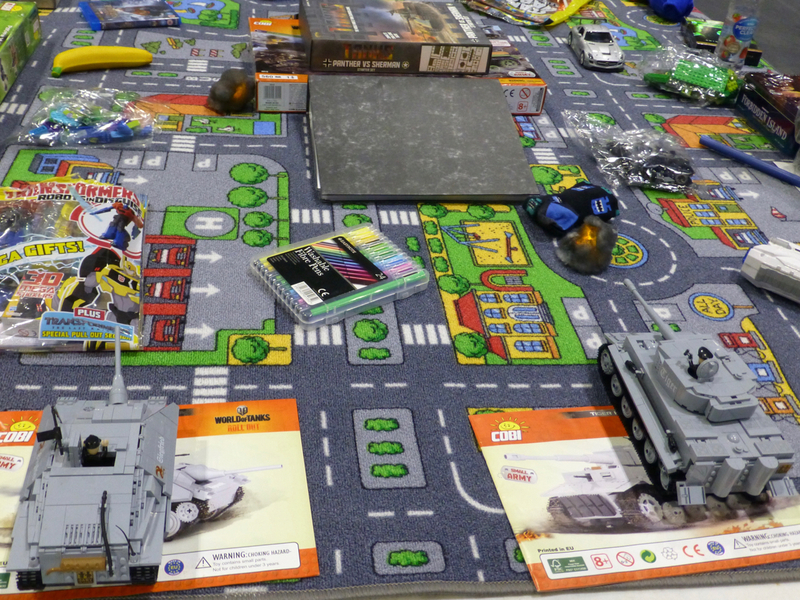 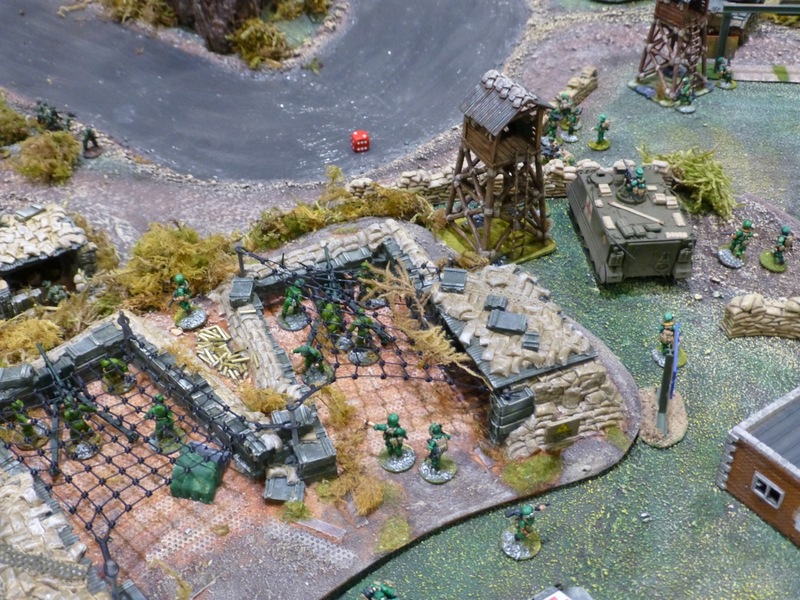 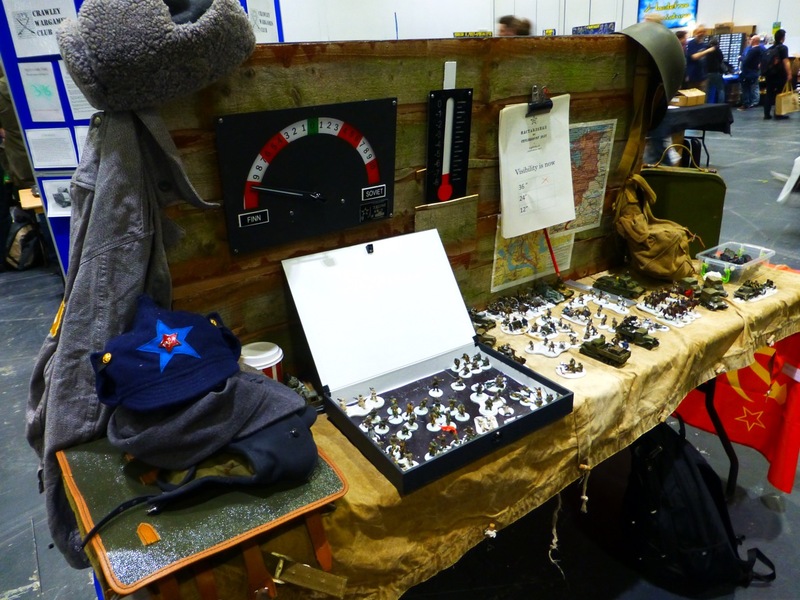 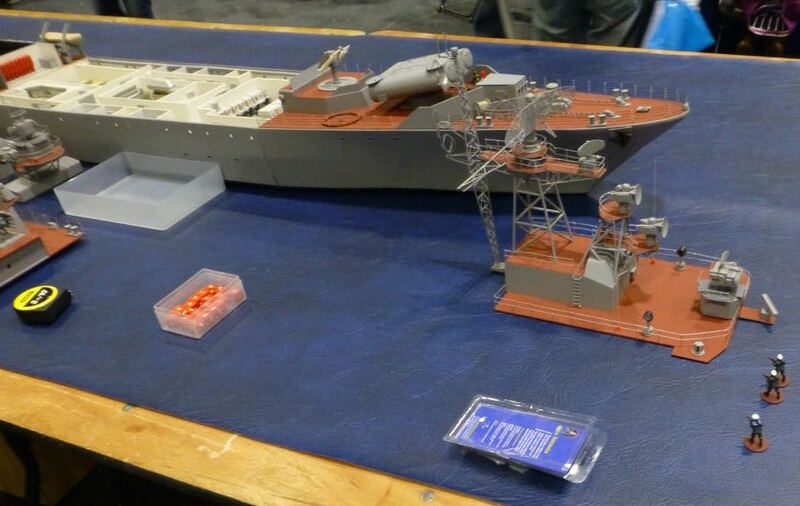 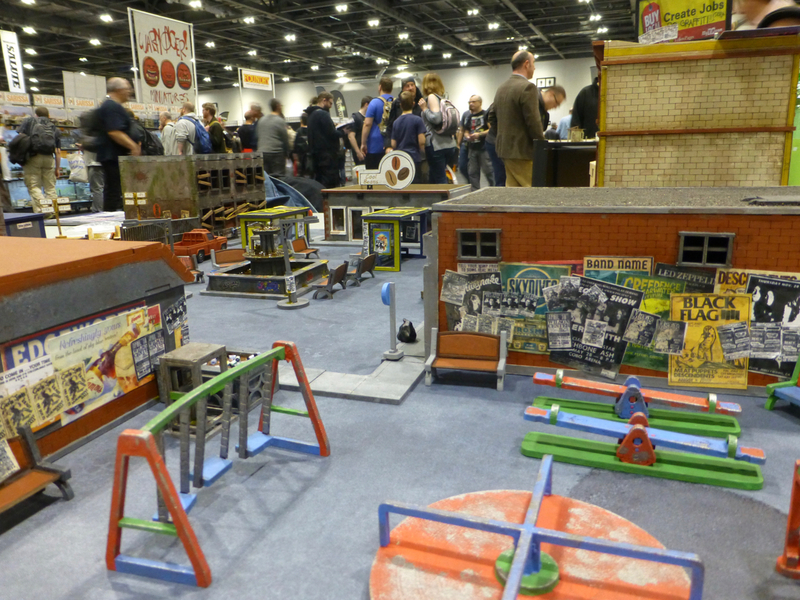 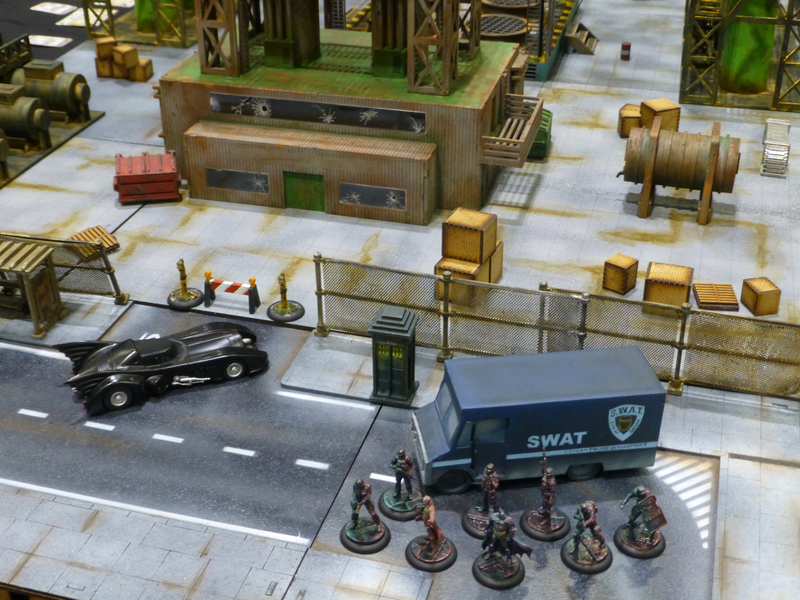 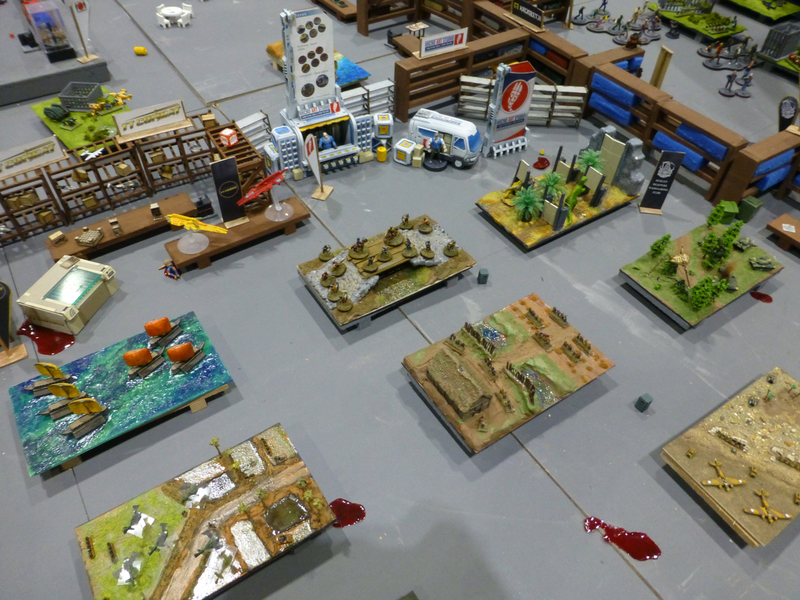 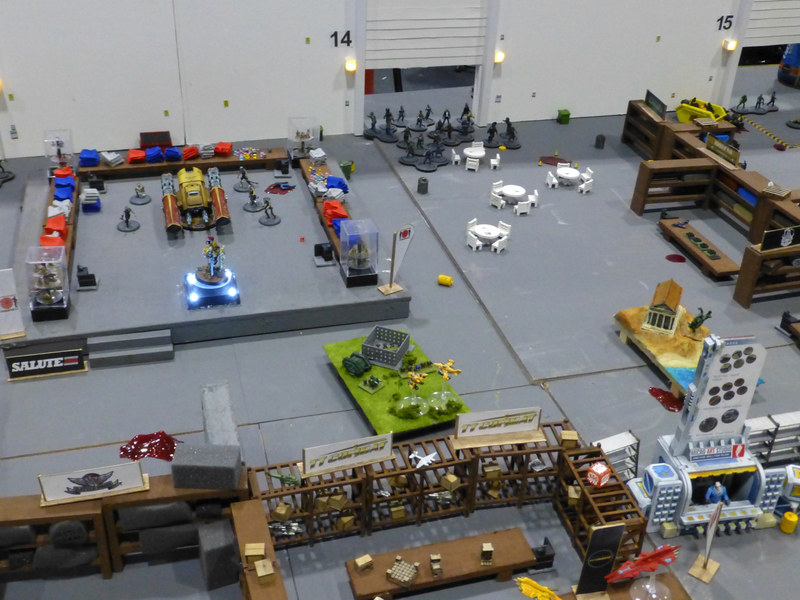 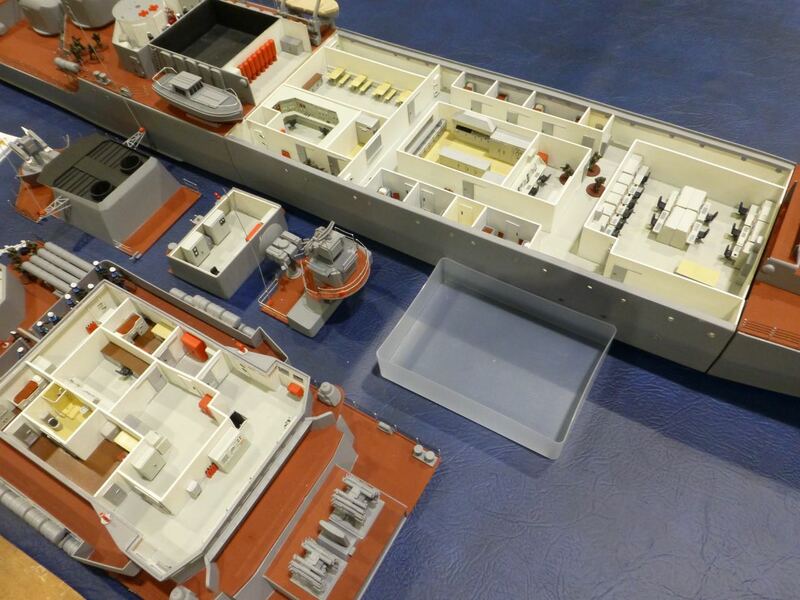 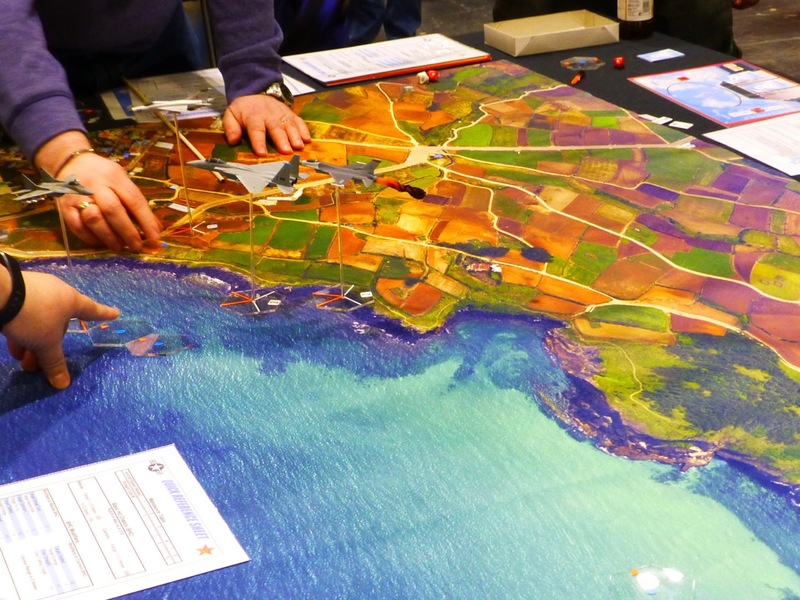 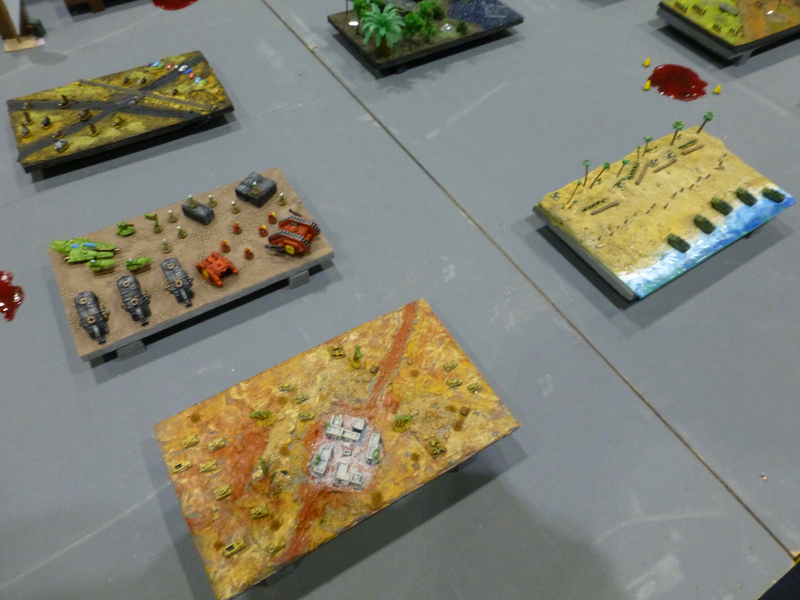 All the cool kids are gaming modern warfare right now and accordingly there were a number of choices at Salute 2019. 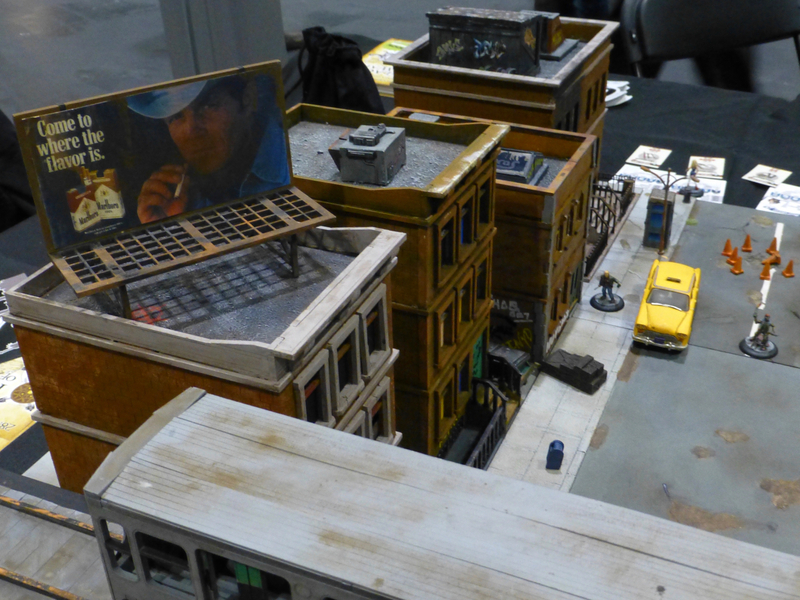 I was very tempted to pick up the rules for Spectre and some figures to recreate scenarios from Narcos but in the end decided to postpone such a project. 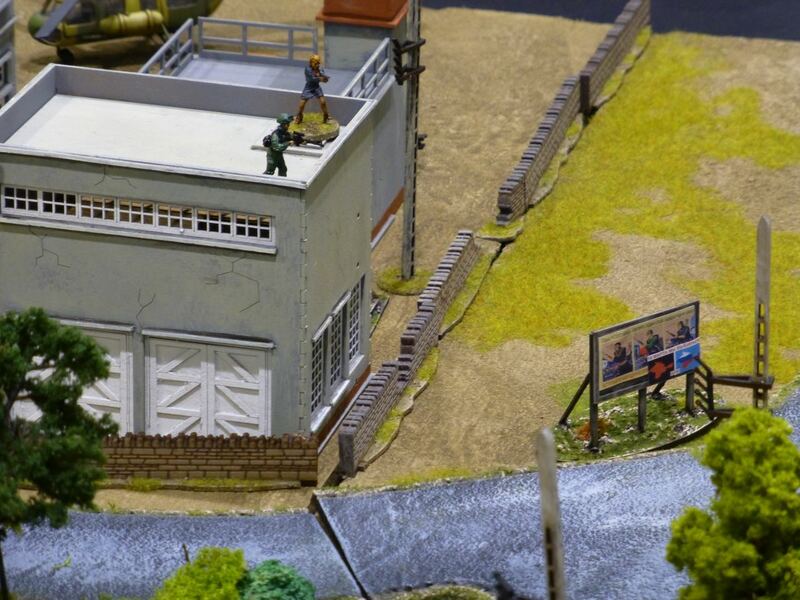 Any wargame that can justify the use of a swimming pool and sun chairs is a winner for me however. 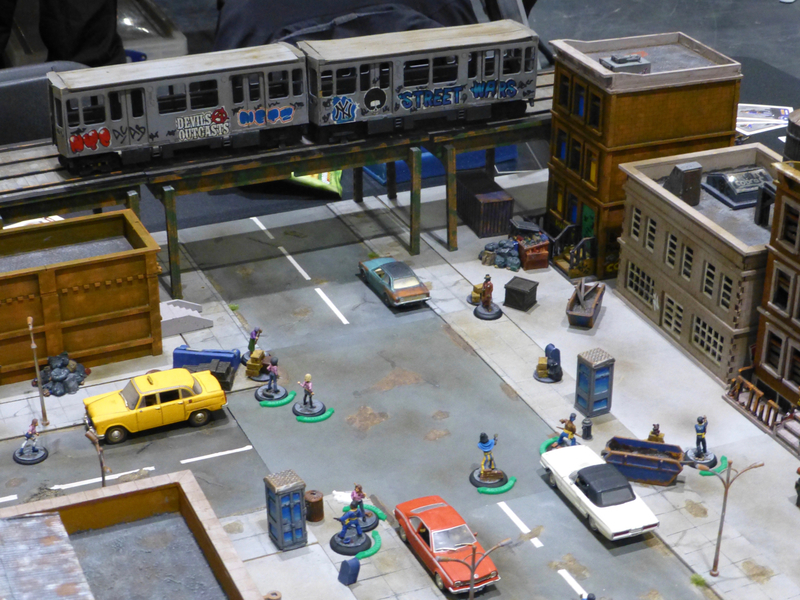 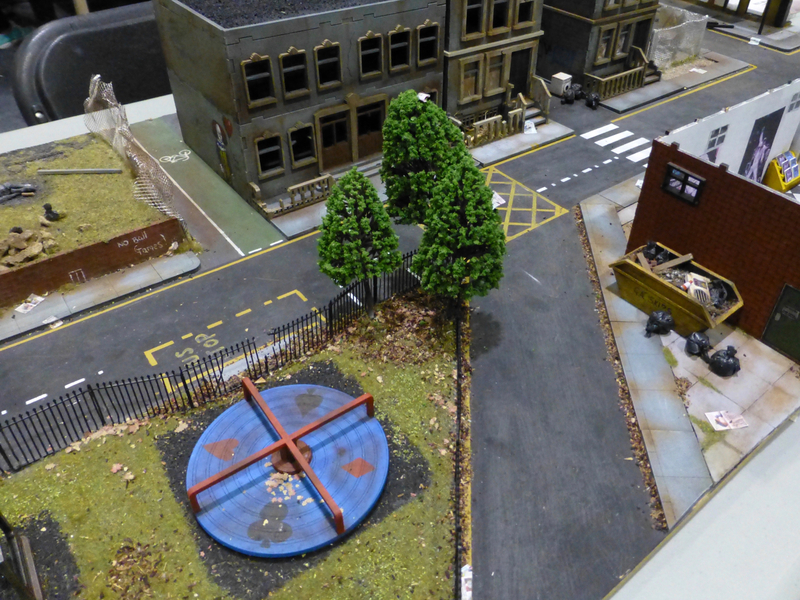 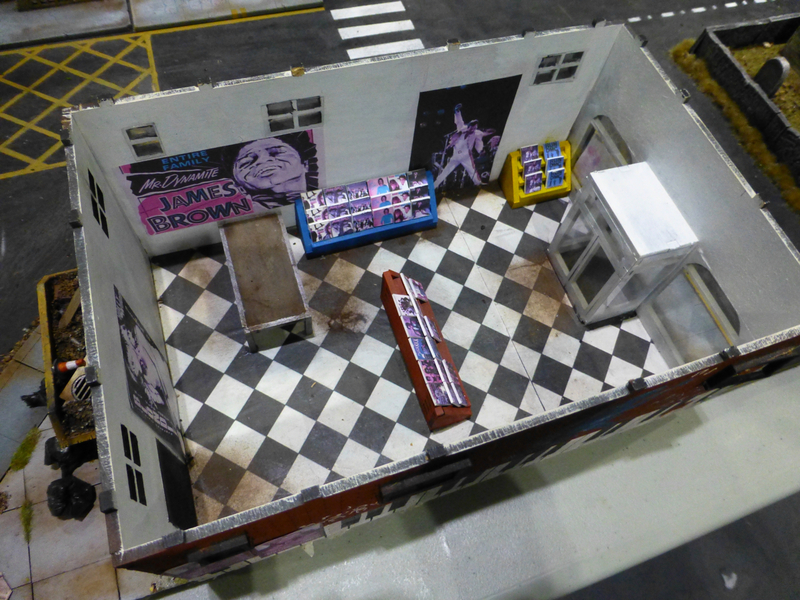 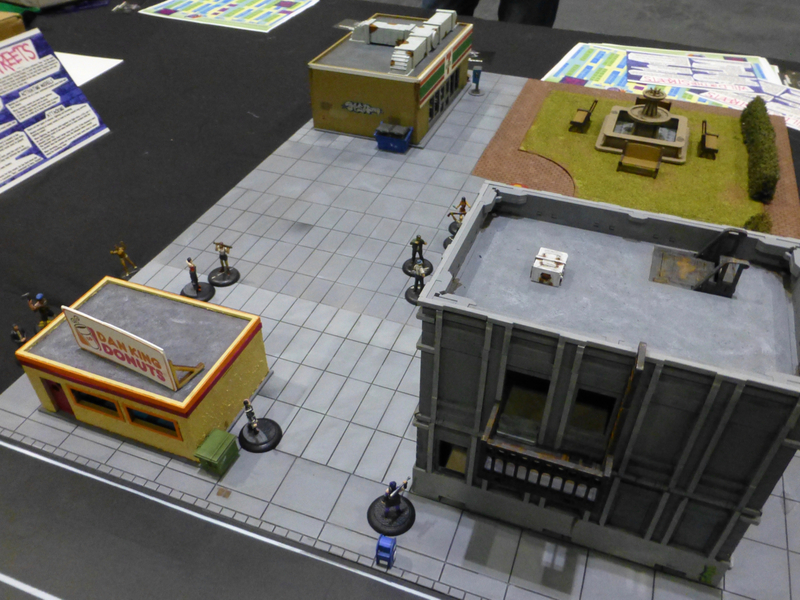 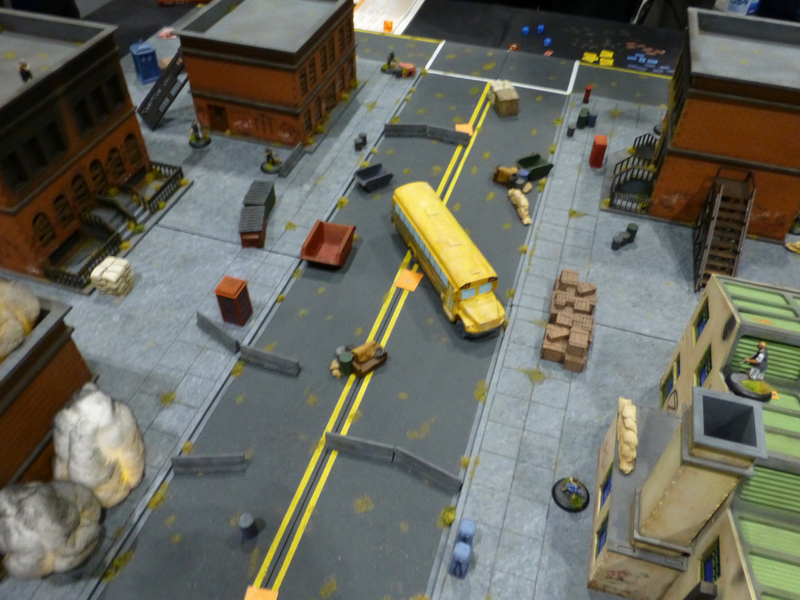 Another favourite of mine in terms of setting is Wild in the Streets, which I bought the Straight Edge crew for previously. 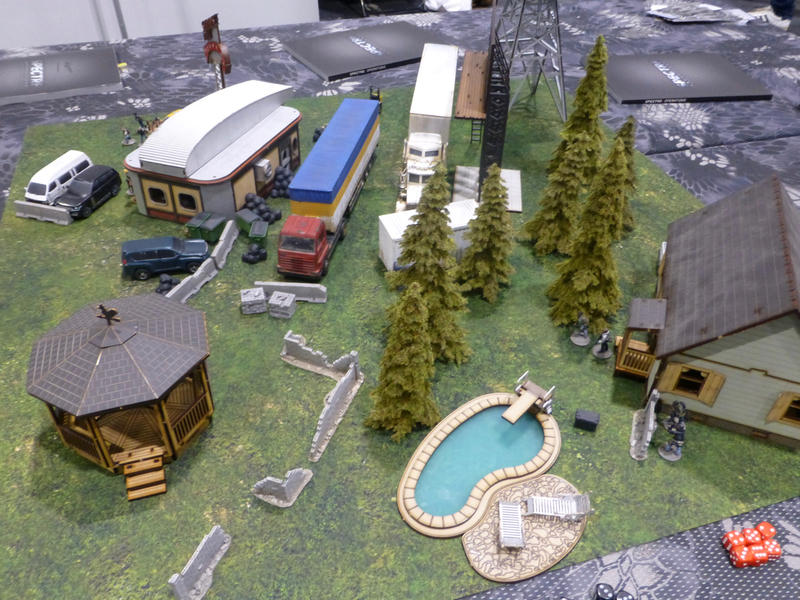 The lack of terrain is holding me back but I might go for a less authentic approach and use the figures with my cyberpunk Infinity terrain. 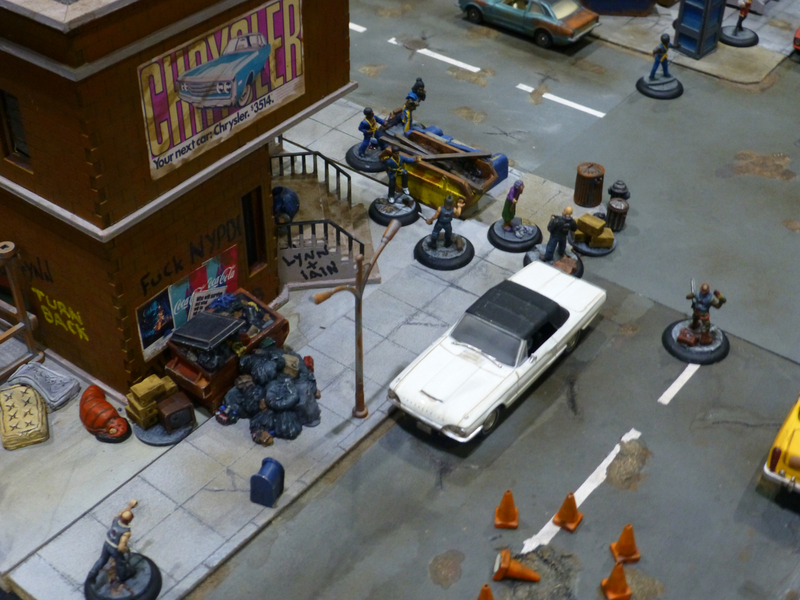 A few years earlier in the same streets of downtown NYC, gangs clashed to disco beats courtesy of Funky Skull Games. 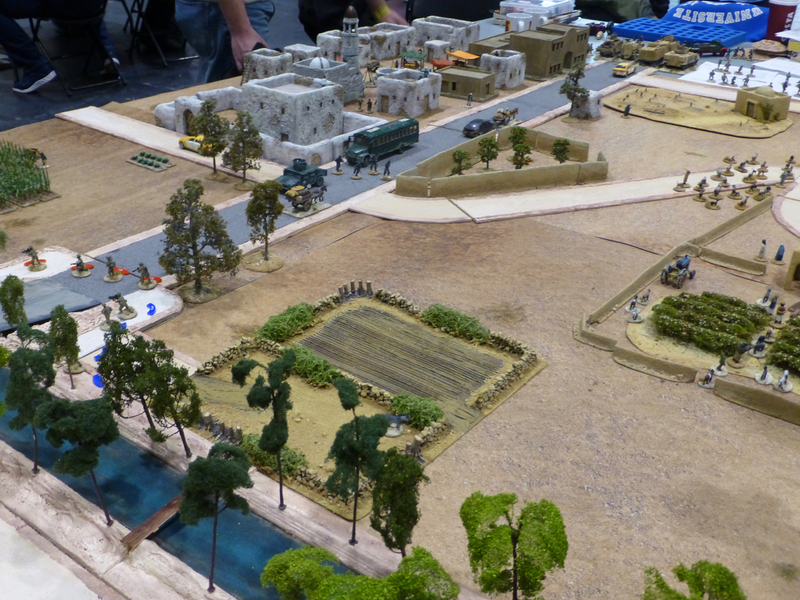 The more dusty and deadly setting of Helmand province was the scene for ‘The Panther’s Claw’ by Whitehall Warlords. 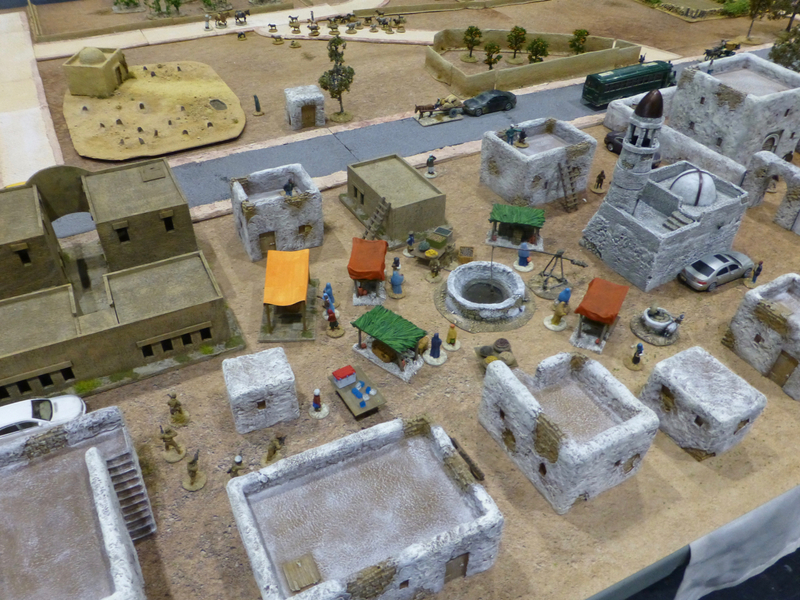 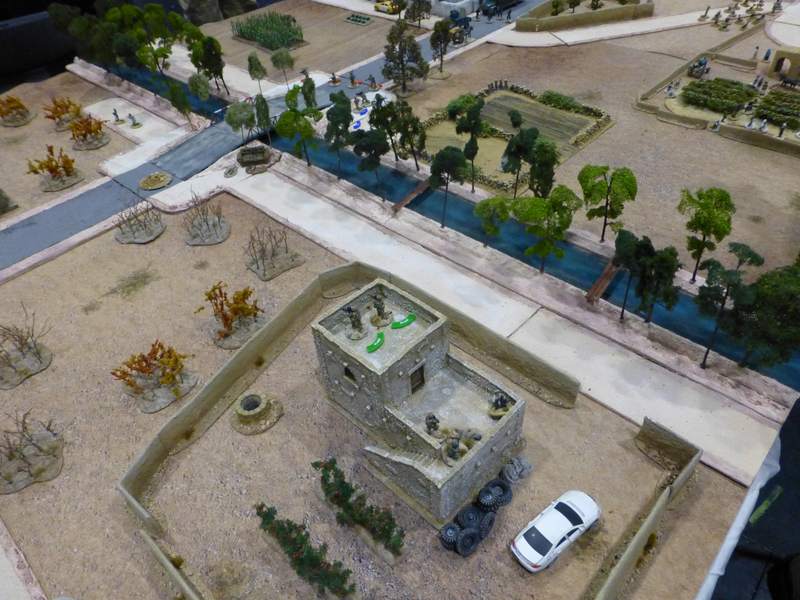 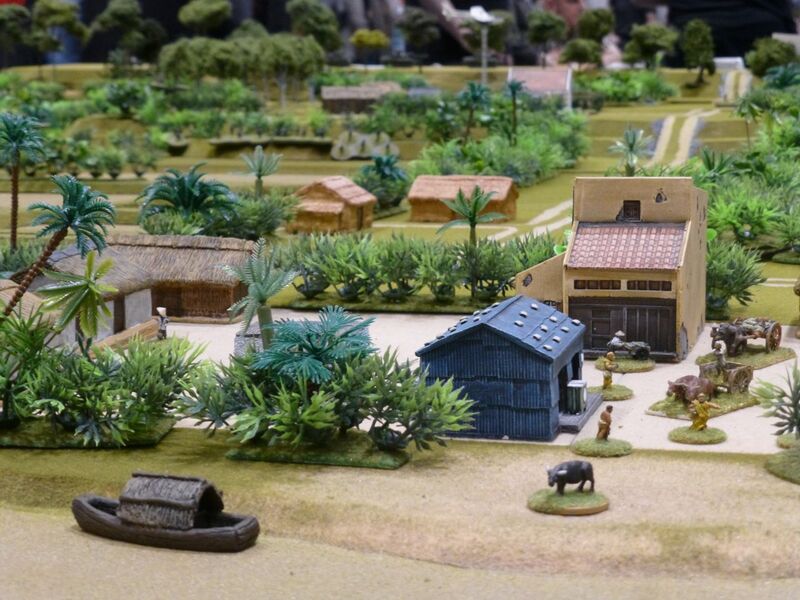 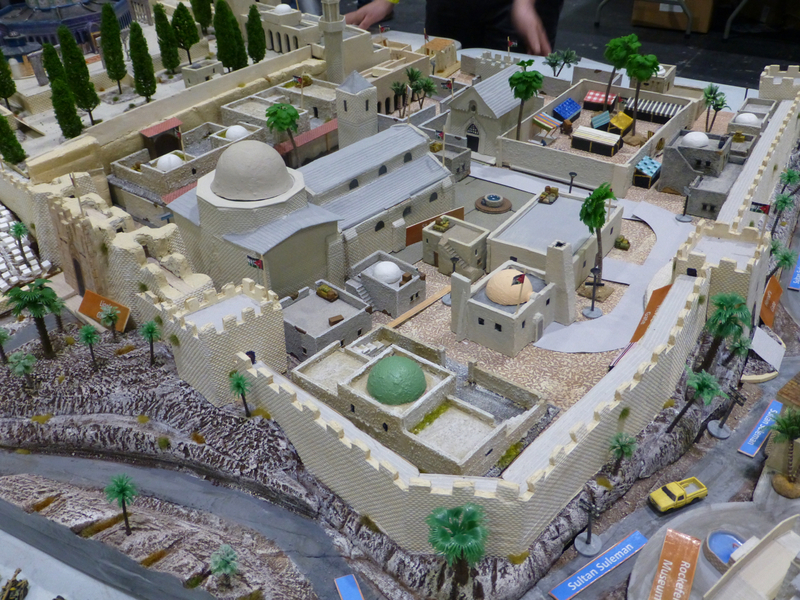 Scimitar Wargames Group recreated old town Jerusalem during the Six Day War, playing with the Fate of a Nation rules set. 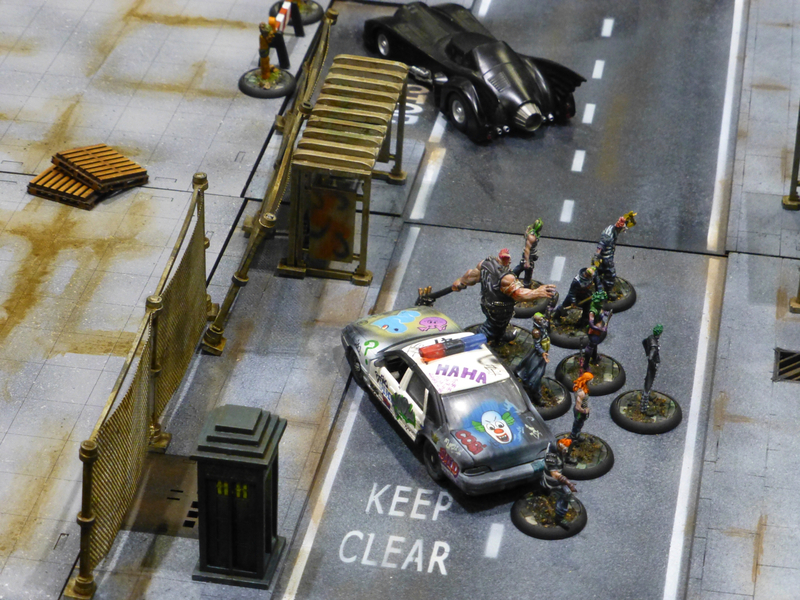 Thor’s Hammer Gaming Club built a historical location in popular culture for the Batman to rid of rogues and villains. 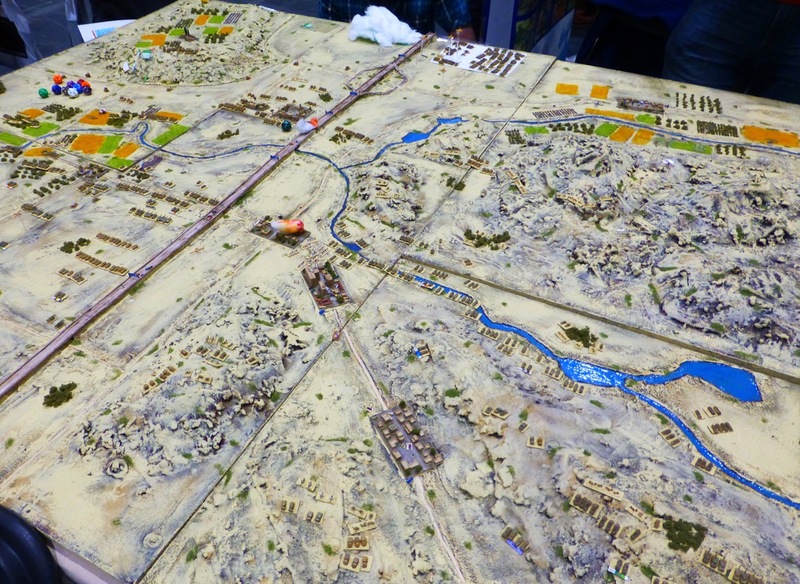 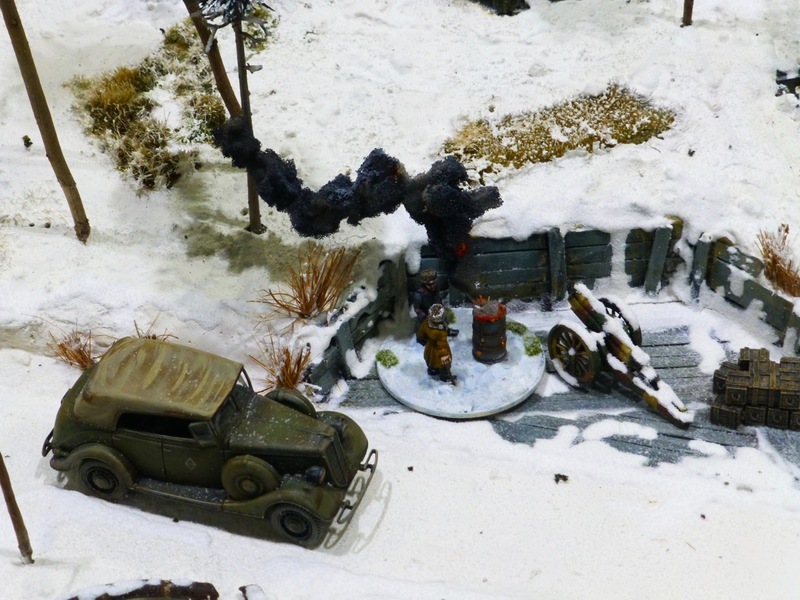 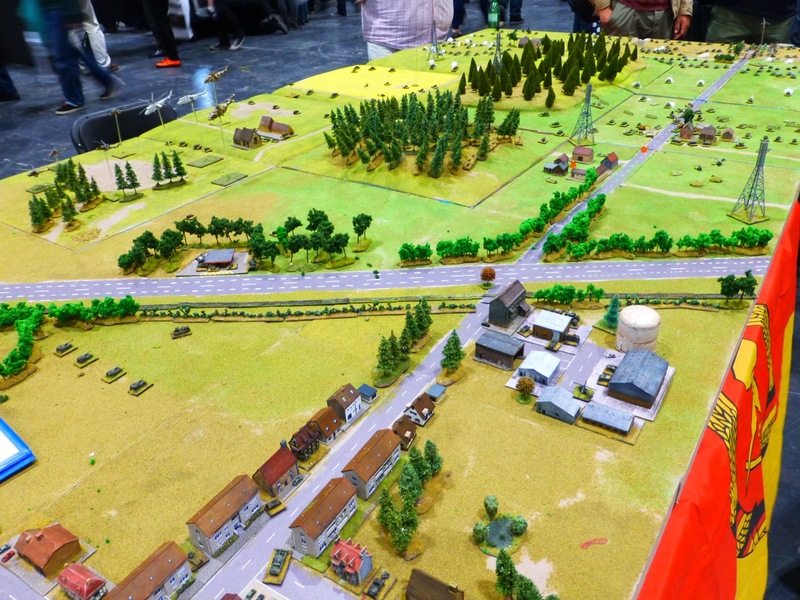 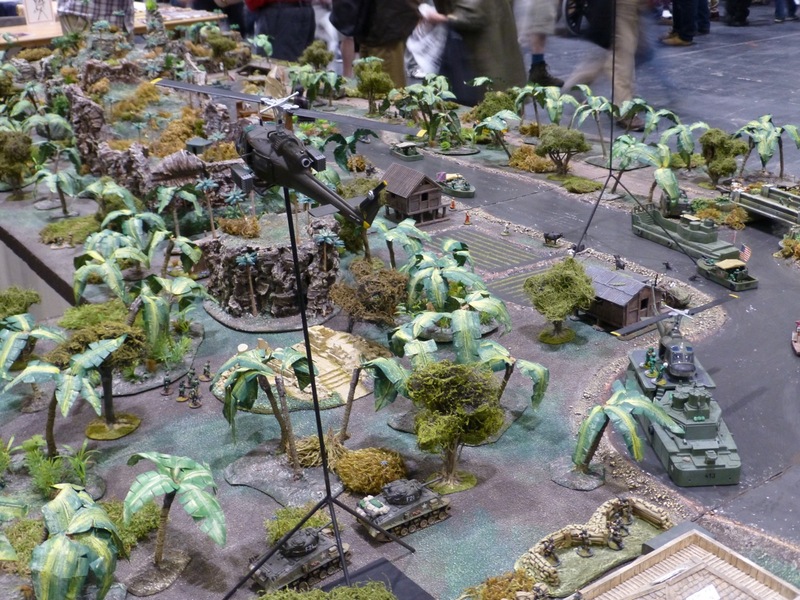 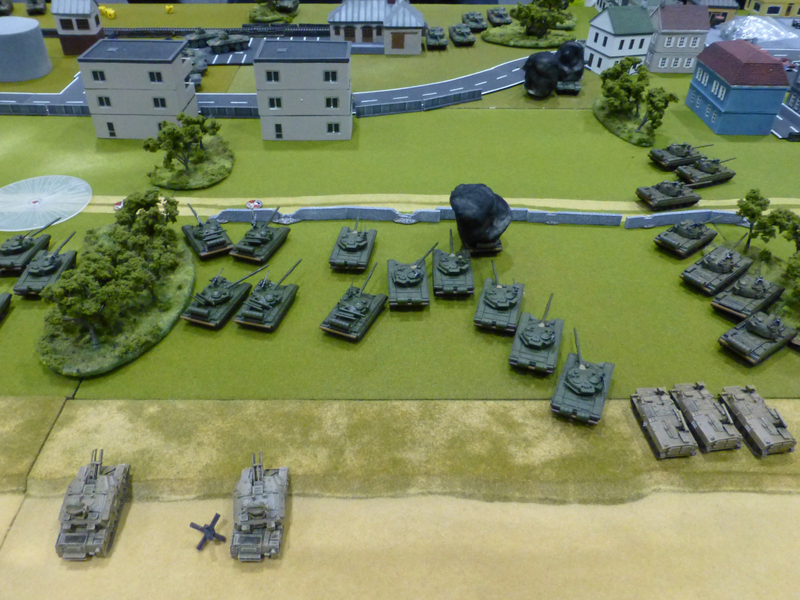 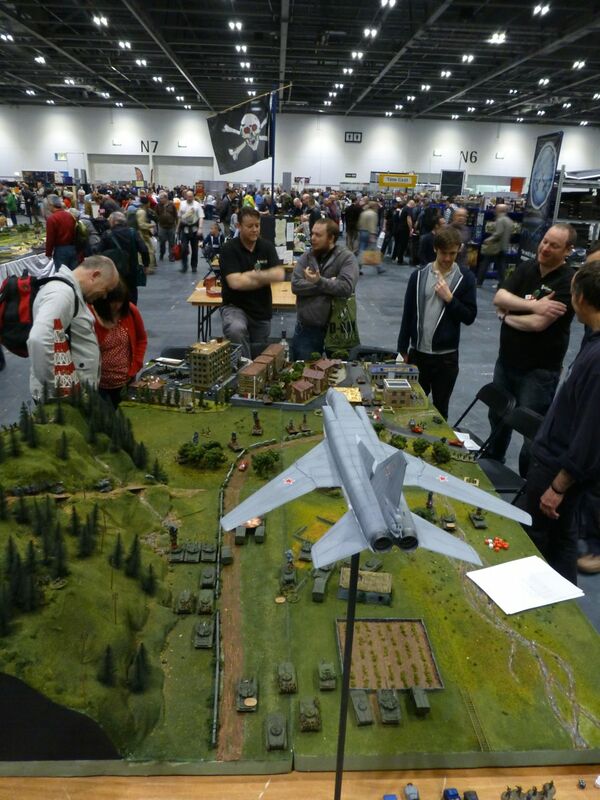 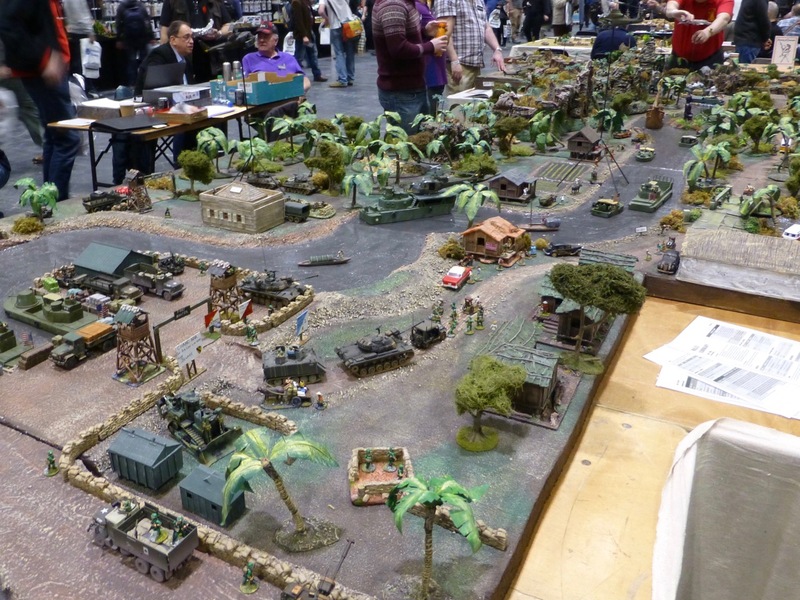 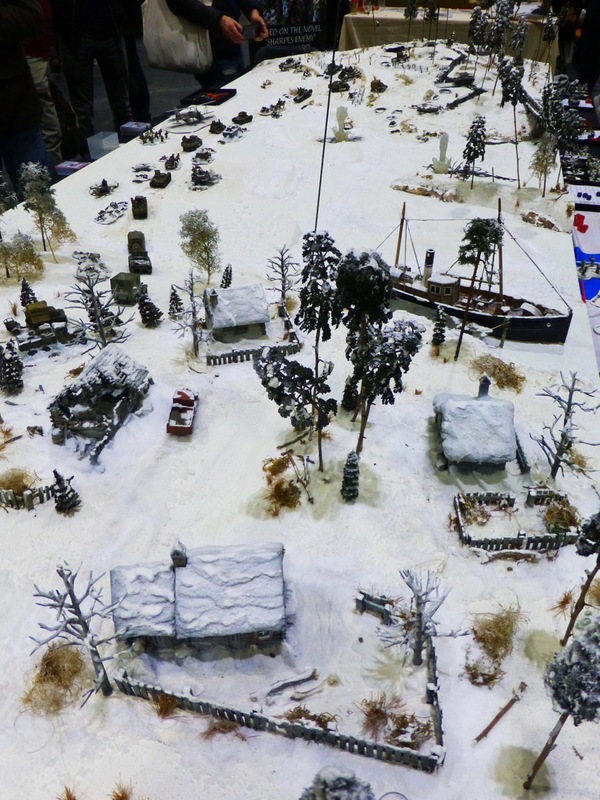 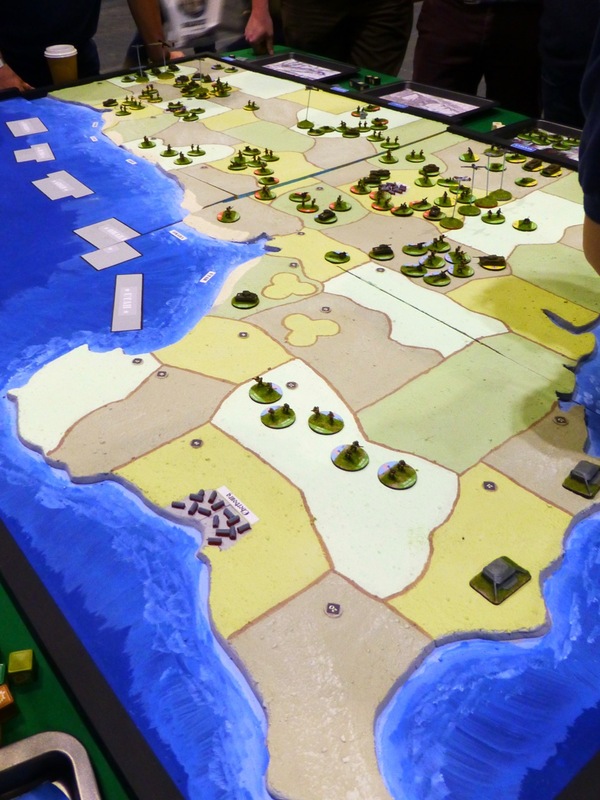 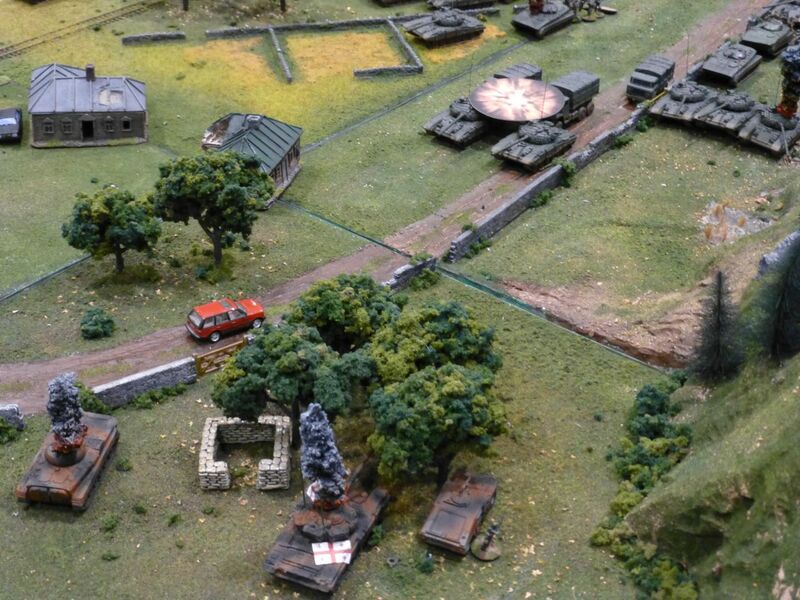 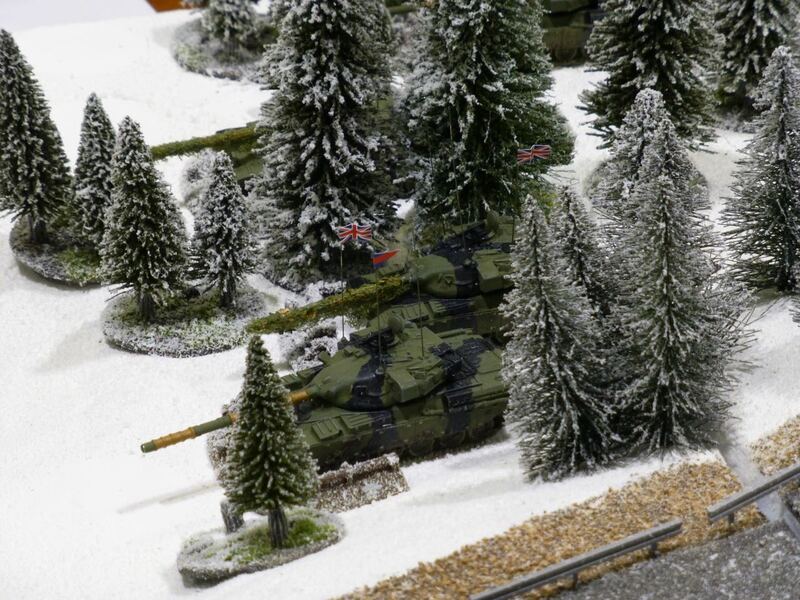 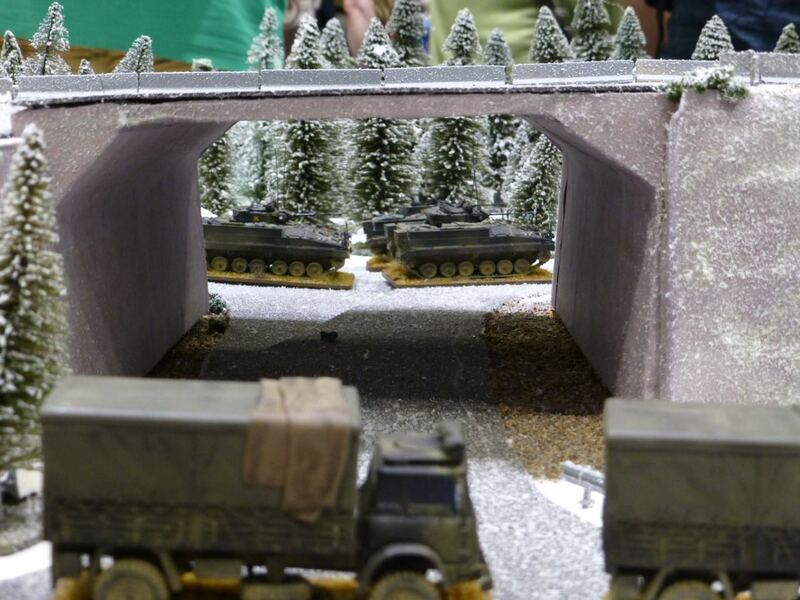 The most recent battle recreated at Salute 2014 was from the Five Day War between Georgian and Russian forces in South Ossetia. 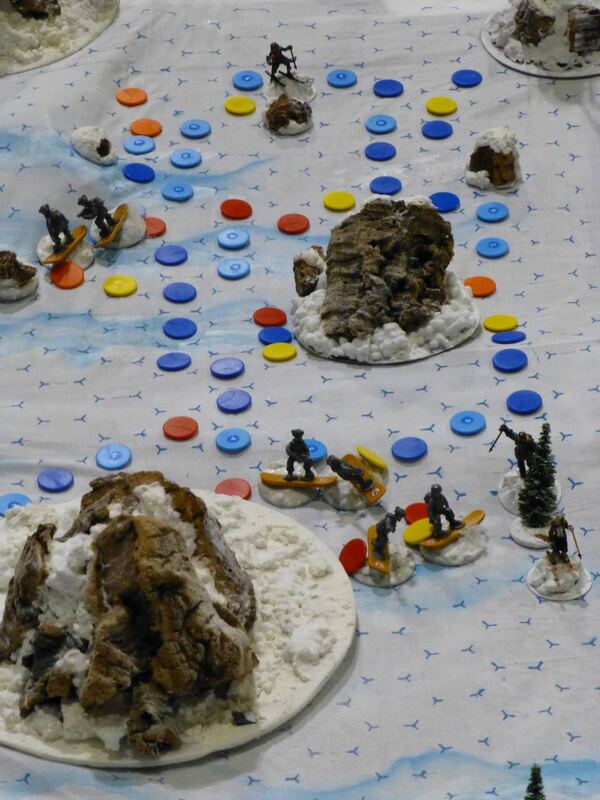 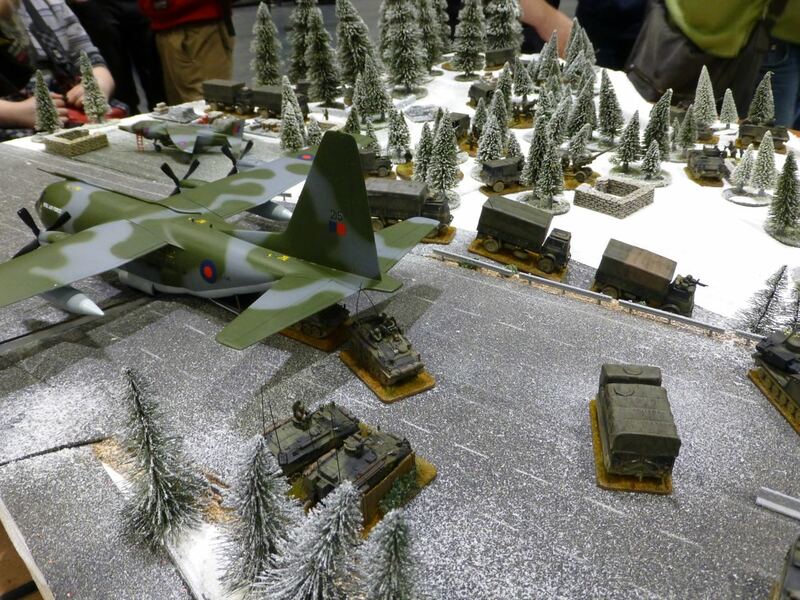 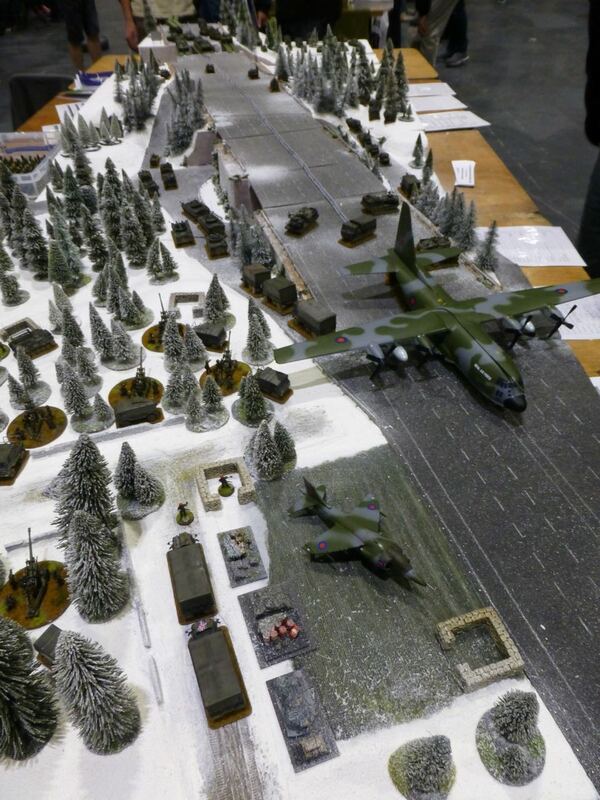 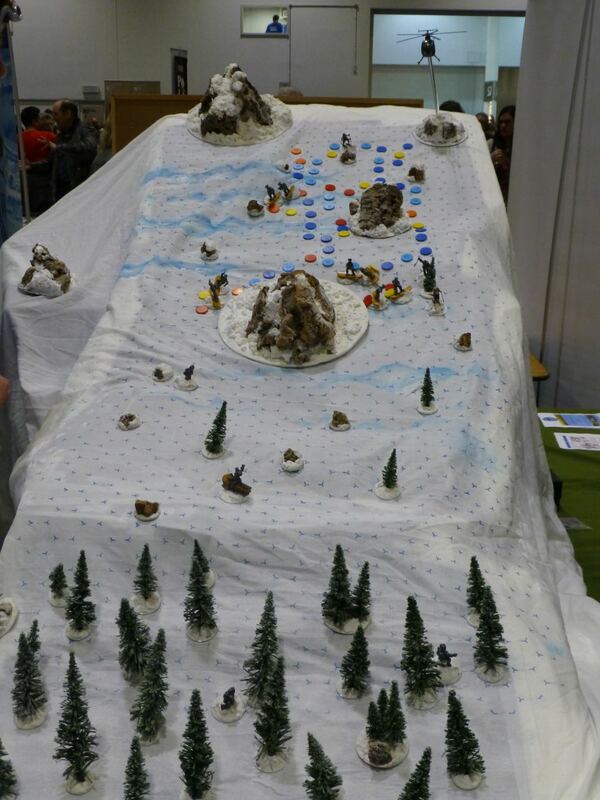 Leicester Phat Cats displayed Turmoil in Tskhinvali on an impressive board with mountains, cityscape and air support. 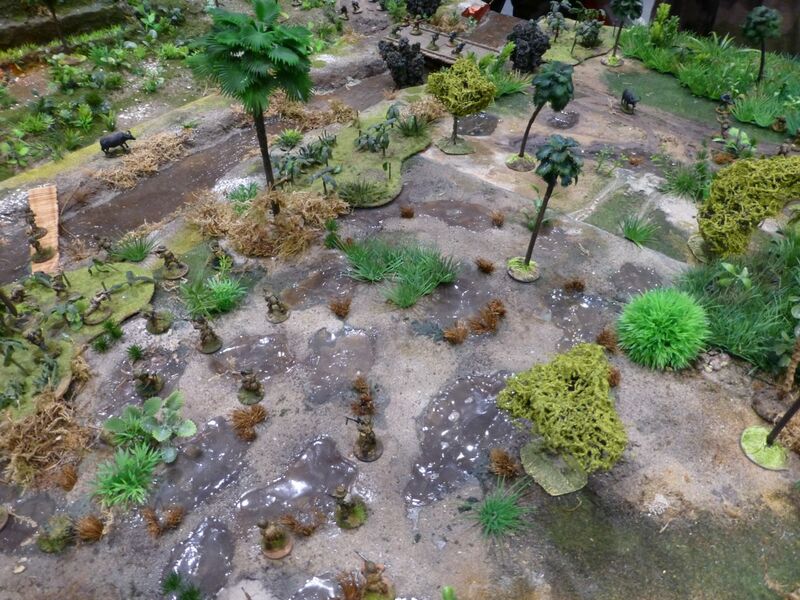 Whitehall Warlords staged a US combined operations attack on a North Vietnamese bunker complex in the 15mm scale Iron Butterflies in the Killer Jungle. 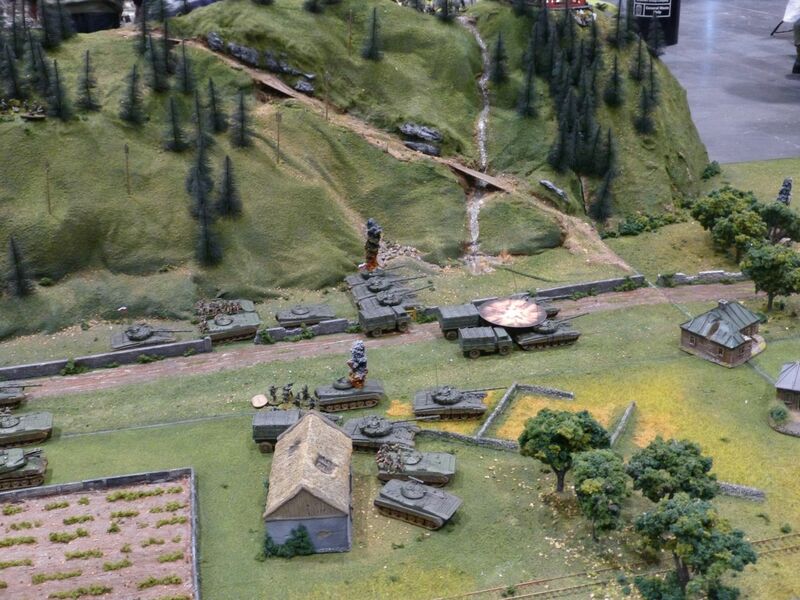 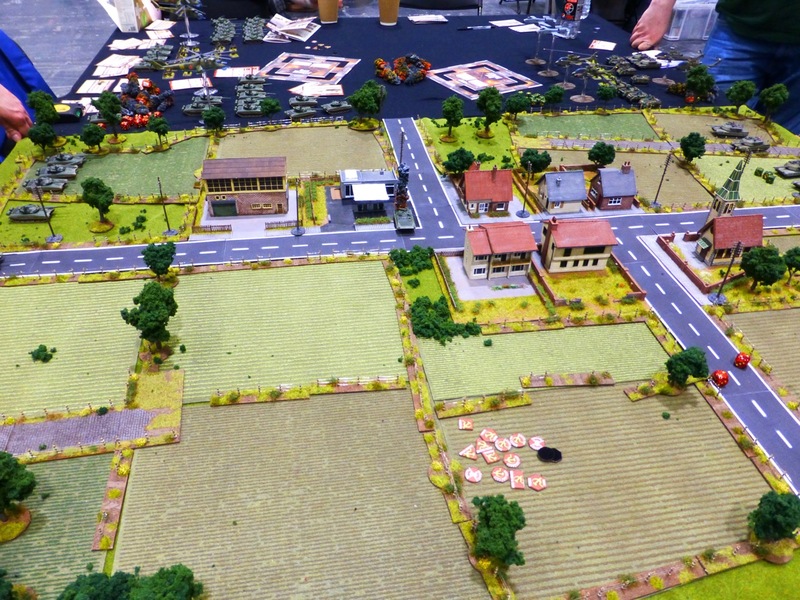 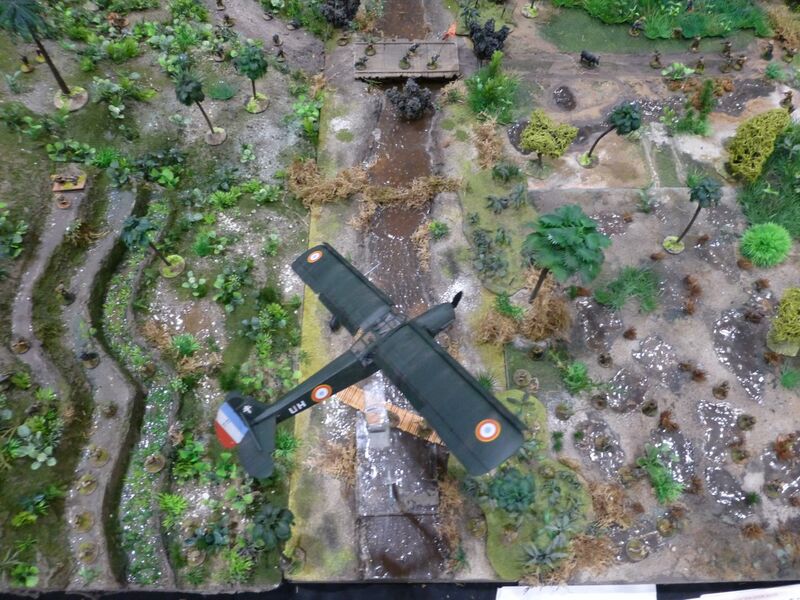 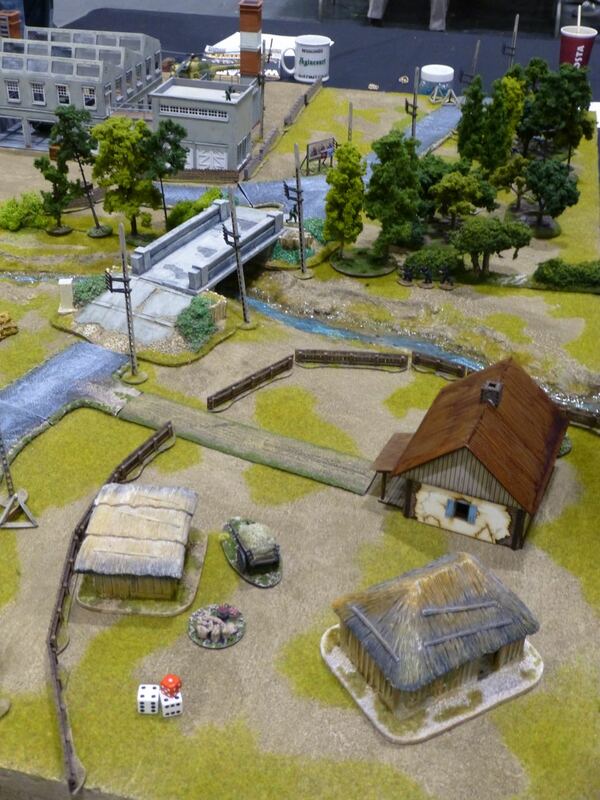 The Battle of Dien Bien Phu was the backdrop for Brussels based Chemins de Feu wargaming club. 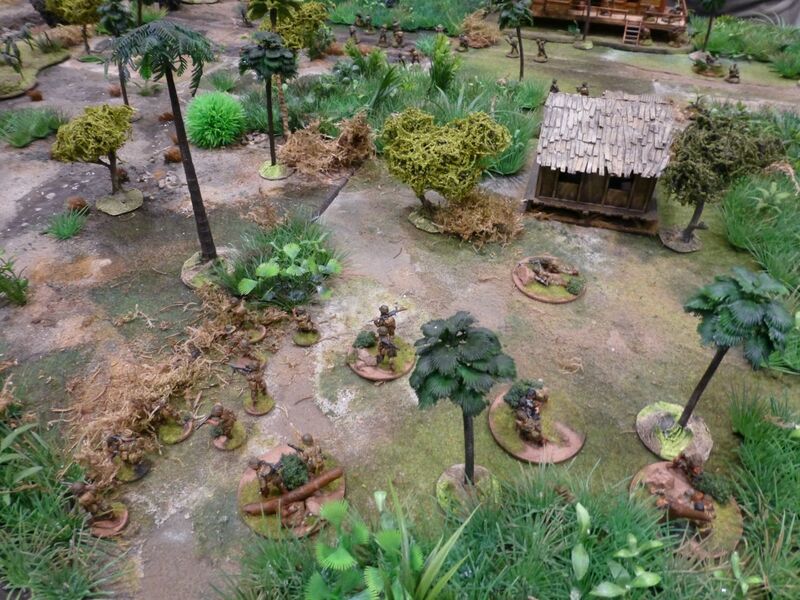 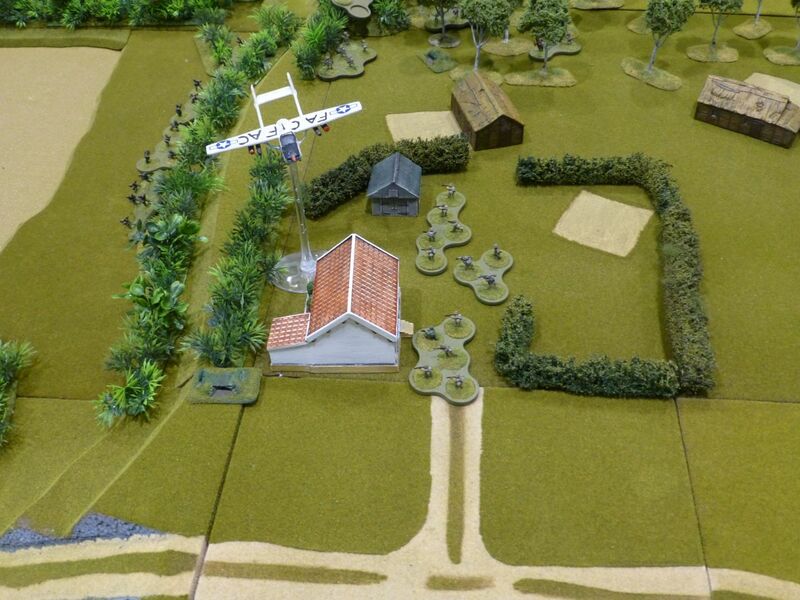 In this scenario set in 1953, French paratroopers were leading a raid to destroy a Viet Minh weapons cache.